Three Koalas Wine Tours only offers PRIVATE wine tours from Melbourne to the Yarra Valley for small to medium size PRIVATE groups. Overseas travellers, families, and groups of friends or colleagues who would like to visit the beautiful Yarra Valley on a personalized itinerary and without strangers. Can I book just 1 or 2 seats on your tour? Sorry, but no. We do not provide public winery tours at this stage, and if you need just 1, 2 or 3 seats on the bus, we will not be able to accommodate your request. What is the minimum size of the group? Usually it is 4-5 guests. Though it could be even 1 person, but for small groups (fewer than 4 people) the minimum total tour price remains the same as for the group of 4 people. Usually we cater for medium size groups (up to 11 people) and use 12 seat mini-bus for that. We also can accommodate larger groups (up to 30+ people), in which case we might use multiple vehicles for the tour. Can we change the size of our group before the tour? We do not offer an “ad hoc” tours and sometimes will not be able to meet your request for change. Can my friends join our group at the wineries? Yes, this is a free country and your friends obviously can meet you at the wineries we visit as a part of the tour. However, we will not be making any additional arrangements or booking for your friends. As well as following any special timing or itinerary different from our itinerary set for the day. Your friends will have to take care of all tastings, lunch and transportation arrangements by themselves. Also we will make it clear to all venues we will be visiting, that those people are not part of our tour and are not part of our arrangements with these venues and we have no responsibilities for them in any way. Sorry, no. We provide service on the day to your private group as a whole and expect ONE payment for the whole group. We cannot collect payments from each group member separately. What time do your tours start? We offer Three Koalas Wine Tours DAILY. Full Day Three Koalas Wine Tours starting time is: 10 AM. Half Day Three Koalas Wine Tours have two starting times are: 10 AM and 1 PM. At your Pick Up address. What time do your tours end? Full Day Three Koalas Wine Tours ending time is: 5-30 PM. Half Day Three Koalas Wine Tours have two ending times: 2-30 PM and 5-30 PM. At your Drop Off address. Do you have free pick up / drop off? Yes, we offer a free door-to-door pick up / drop off for all our tours. From your Yarra Valley holiday accommodation at Healesville, Warburton or Kinglake area. Can you pick up people in my group from multiple locations? Sorry, but no. We are happy to offer you free door-to-door pick up and drop off at a location of your choice from the areas listed in the previous question, but it has to be only one address for pick up, and only one address for drop off. We use late model Toyota Commuter minibus (seats up to 11 guests), Toyota Coaster bus (seats up to 19 guests) or both. There is no set schedule of wineries. We will take advantage of the best winery experiences available on that day, to make sure you get the most value from your itinerary and have an enjoyable day. We also build an itinerary the way to maximize your taste time of the Yarra Valley. You can be sure that we don’t offer our clients anything but great wineries with exceptional wines. Yes, and we will do our best to accommodate your preference but it may not always be possible. We are happy to take you to the wineries of your choice, as long as those wineries permit us to visit that day. Most of people quite happy to leave boring task of choosing and booking wineries for their day in the Yarra Valley entirely to us. Seriously, we have done it hundreds of times! And even time of the year! We haven’t received any customers complaints on our choice as yet. Can we include distillery, brewery or cidery on the tour? Yes, there are a few boutique distilleries, breweries and cideries in the Yarra Valley that offer guests a paddle tasting for a fee. We are happy to take you there, as long as those breweries and cideries permit us to visit that day . The average time is about 30 min – 45 min at each winery. But there is no set time. Some winery tasting will last longer than others. It all depends on a particular winery and how busy they are at that time. It will also depend on your group. How quick or slow you will be going with the tasting. How many wineries we will visit on the tour? Full Day Three Koalas Wine Tours usually have time for visiting 4 – 5 wineries. Half Day Three Koalas Wine Tours usually have time for visiting 3 – 4 wineries. The exact number of wineries we might visit on a day depends on a few factors such as: size of your group, your choice of wineries, day of the week , selection of lunch venue, etc. Door-to-door Transport Safety Victoria registered, comfortable air-conditioned vehicle for your group from/to any Melbourne CBD or Melbourne Metropolitan area Eastern suburbs location to the Yarra Valley wineries. Return. Creating and booking the perfect Yarra Valley itinerary for you to minimize travel time and the tasting cost and maximize diverse Yarra Valley experience according to your preferences and interests. 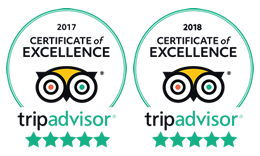 Professional, industry accredited, friendly and knowledgeable driver/guide with extensive local wine knowledge and Yarra Valley touring experience. AUX cable and portable Bluetooth speaker to play your favourite music on board, bottled water to keep your hydrated and cool box to safely store your purchased wines. Fuel, road tall and parking costs. Wine or any purchases from the wineries direct. When is my booking confirmed by you? Our availability to accept your booking is valid at the time of our communication and subject to change without notice. Booking of the actual date is not confirmed unless and until the deposit for it is received by Three Koalas Wine Tours. Yes, if you have already fully paid for the tour you can cancel for free up to 7 days prior to your booking. You can also change your booking date and we will do our best to accommodate any late changes. Up to 7 days ⎼ no fee. Within 6 – 3 days ⎼ 50% cancellation fee. Within 48 hrs ⎼ 100% cancellation fee. Booking fees Pre-Paid by us on your behalf to the third party (winery, restaurant, tickets etc.) and your holding deposit are not refundable. No there are not. Upart of the fees stated above all tour prices on our itinerary are fully inclusive. Yes. There is practically no such thing as free wine tasting left in the Yarra Valley any more. However, we know a few wineries that still offer free complementary wine tasting for a smaller groups. And we will suggest these wineries for your itinerary. We also have a special arrangements with a few more wineries, that charge our clients discount rates for the wine tasting. We will suggest them to you as well. And, of course, we will timely advise you of what kind of wine tasting fees you can expect at the wineries you might selected for the day yourself. Does bad weather affect your tours? No. Three Koalas Wine Tours will run rain or shine. Can a tour be cancelled by Three Koalas Wine Tours? Yes, in the exceptional natural circumstances like extreme fire danger or flood. Or in case we all at Three Koalas Wine Tours become seriously ill and incapable of conducting the tour. You will be notified before the event of any cancellations and be fully refunded. Is there a lot of walking on your wine tours? No, there is not a lot of walking involved. May be 50 – 100 meters or so at any given winery. You have to be mobile enough to get in and out of a van. That is about all. There are optional walks around some vineyards if you wish to take them, but that would be entirely up to you. Generally – no. Sometimes we can accommodate children, but most often not. Please contact us if this is an issue for you. Generally – no. Though, some cellar doors are OK with dogs and if you require it, sometimes we can build your itinerary around these wineries, if this is an issue for you. Is there place on the bus to store wine that I buy? Yes, we have a plastic cooler box on the bus specifically to store your wine during the tour. There is no dress code for the wineries. Just dress appropriately as you would in any other licensed venue. Also dress comfortably for the season you are visiting. Smart casual is king! Is lunch included on the tour itinerary? Yes, we have allocated lunch time on our Full Day wine tour Itinerary. But the cost of lunch is EXTRA and depends on a particular lunch deal you are going to choose. See below. Half Day wine tours do not have enough time for that, and there is no allocated lunch time on Half Day wine tours itinerary. What type of Yarra Valley lunch deals could be booked with the winery tours? You can choose which type of winery lunch you would prefer for your Yarra Valley wine tour ⎼ a la carte (order from the menu) lunch at one of many Yarra Valley fine winery restaurants OR one of a table d’hôte (meal served at a fixed price) lunch deals below. You need to choose ONE option for the WHOLE group, as they are available from the different wineries. As we are not earning any money from these Yarra Valley wineries lunch deals, we will not be able to provide detailed information on these offers. Please visit above wineries websites or contact them direct if you need to learn more about their menus. For a la carte style lunch the choice of winery restaurants is much broader, naturally. Is lunch cost included in the tour price? NO. As we are not earning any money from lunch arrangements the cost of lunch is not included in the tour price. We will book lunch venue for you according to your preferences, and you will pay on the day to the winery direct. Do you accommodate vegetarians and people with other dietary restrictions? 1 x no gluten, lactose, fructose, shellfish or nuts. Are we allowed to bring our own sandwiches/food to eat between wineries? Three Koalas Wine Tours endorses RSA (responsible service of alcohol) and behaviour on and off the bus at all times and reserves the right to refuse any ongoing service due to reasonable non-compliance.